Banana trees can be used for grey water systems! Another amazing thing I learned during my stay at AsaLanta. Grey water is all waste water excluding black water which is water from toilets. Grey water is a great resource for plant growth in many regions of the world and the Banana Tree is one of those plants. Here at AsaLanta, banana trees are strategically placed near drainage from all of the sinks and showers. A compost pile is in the center of the tree and the drainage pipes feed water directly into that center. 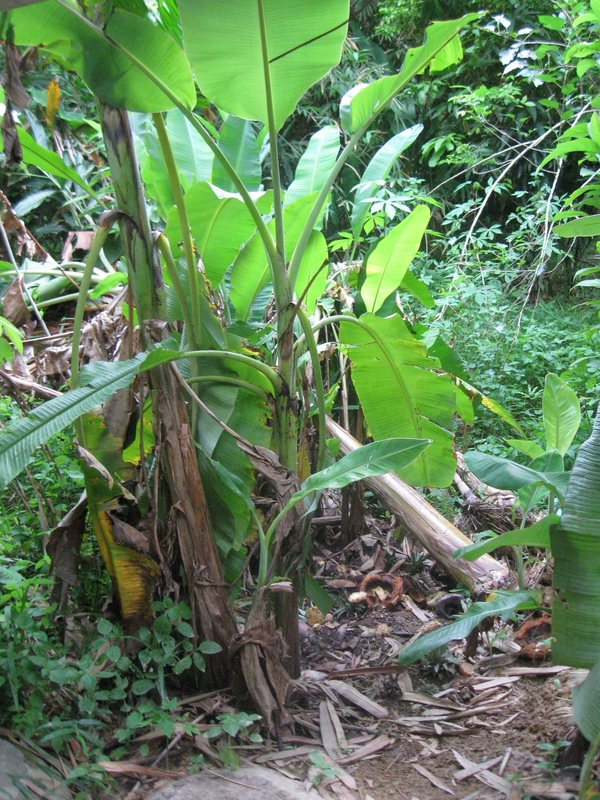 The banana tree is able to absorb many nutrients from the water as well as the compost pile that is in the middle. The banana tree is also said to help filter out the soaps and detergents that are used. What an amazing system for grey water. The trees are nourished and able to bear delicious fruit which then gives us our healthy nutrients.